Sahastra Ravana - Who Killed Sahastra Ravana If Not Rama? Sahastra Ravana – Since childhood, especially if you are born and raised in Northern India, the only Ramayana you are aware of is the one written by Valmiki, the first Sanskrit poet (Adhikavi). On asking the plot of the epic, your probable answer would be the synopsis of the movies and television shows you watch based on it. Indubitably, in that context what you know is not more than what is been showed to you, be it through a 180 minutes movie or 25-30 minutes daily show. The title might bewilder you but more than that you would find it interesting to know there are more than 300 versions of Indian epic poem, the Ramayana, known to exist. Albeit the one attributed to the sage Valmiki is considered as the oldest version among all. Before answering the question who killed the Sahastra Ravana, if not Rama, let’s first know the backdrop of the story. In Adbhut Ramayana, one of the version of the Ramayana, also referred as deviant composition, the Goddess Sita is not depicted as demure and helpless rather fierce and sturdy. Coming back to what you all might have heard and watch the story of Ramayana which says, the demon King Ravana also known as Dashanan (one with 10 heads) abducted the Goddess Sita and prison her in Ashok Vatika, in the premises of his kingdom. It is said that the erudite Ravana knew his this act might bring him to his fate, death, despite he did so to know if Rama was the incarnation of God or not and this led the battle between the two. In order to rescue his wife Rama head to Lanka with his army of monkeys and other creatures. This might interest you to know that Ravana was the Brahmin who performed the rites of purohit when the Rama Sethu bridge was constructed. And then held the battle, in which on the 10th day the elder Ravana’s brother Vibhishana told Lord Rama about the boon that Ravana beseeched from the creator Brahma and thus asked him to strike the arrow to dashanan’s navel in order to kill him. This is how the demon king met his fate and lord Rama won the battle. Is this the end of the story? Not really, soon after this the divine couple went back and had their me time while one of the doota came to inform about the Sahastra Ravana (with 100 heads) who was forming his army to attack Ayodhya. Boosted with his recent conquest, Rama in no second was ready to fought against him and plan to knock him down. It is said that the Sahastra Ravana was the elder brother of Ravana, more powerful than him. 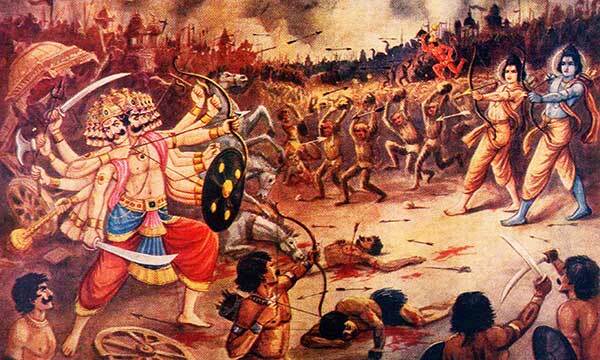 While fighting in the battle with him, Lord Rama and Shakti were wounded and fell unconscious. The omnipresent, Goddess Sita saw this and filled with rage she took the form of Kali/ Bhadrakali and came to the battle field to fight with the tremendous giant Sahastra Ravana. Her complexion from fair turned to stark blue and her attired got transformed, wearing garlands of demon hands around her waist and tiger skin skirt. She fought fiercely with the demon and defeated him. 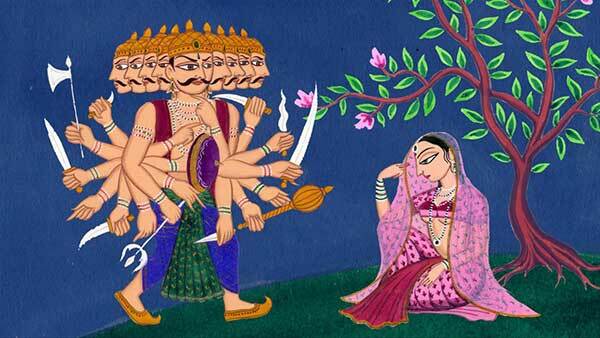 This is how Sahastra Ravana was killed by Adi-Shakti, Sita. The story might be queer to many and unheeded by much, yet talks about the valiant Sita who was portrayed only as meek and helpless in the big screens and even in some hard-covers. Albeit some people even claim it as merely a fiction while some believe and preach about it, as a matter of fact is it all upto us how we perceive. Sonam Kapoor goes apartment shopping! 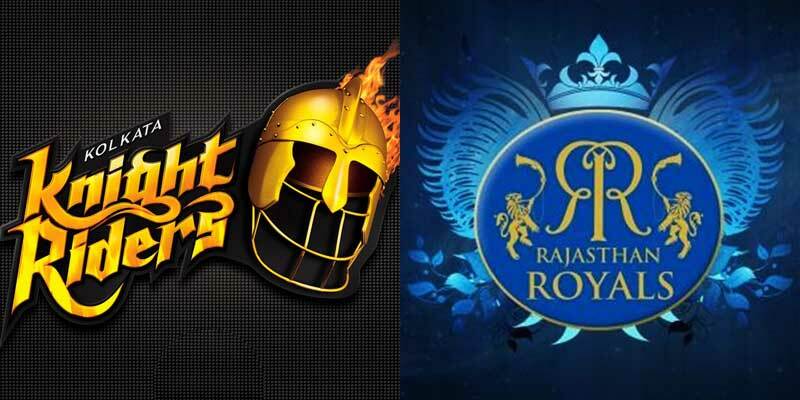 #RRvsKKR: Confident Rajasthan Take On Unpredict ..
Everything About Big Boss Season 11 Contestants!